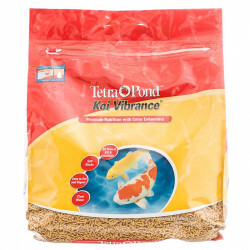 Hikari Koi Gold Medium Floating Pellet Food is a daily diet developed through years of Koi breeding and showing to meet the nutritional needs of Koi while providing excellent color enhancement. Hikari Koi Gold will bring out the natural, brilliant colors of your Koi! Pet Mountain is proud to offer discount bulk pet products. 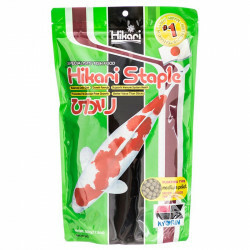 Hikari's excellent Koi food provides a nutritious daily diet with high protein levels that improve growth rates and form. 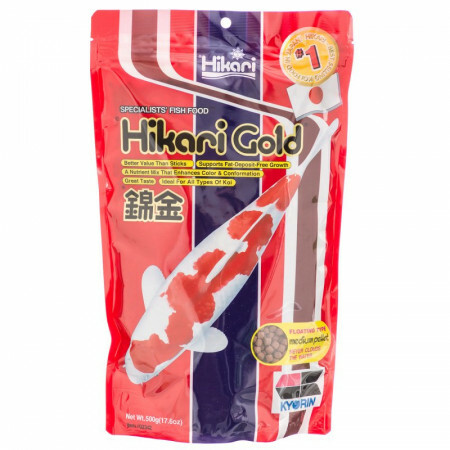 Hikari Gold also contains stabilized Vitamin C that helps protect against stress and infectious disease. 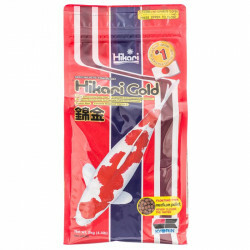 Hikari Gold Koi Food promotes a long, healthy life. Feeding Suggestions: When your water temperature is consistently above 60 degrees but below 70 degrees, feed one to two times daily. 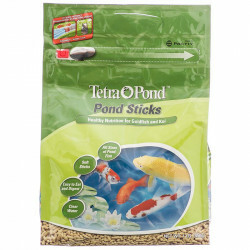 When the water temperature stays above 70 degrees, feed two to four times daily. Warmer temperatures translates to more activity and the need for more food. Always remove all remaining food after the feeding period to avoid over-feeding and the water quality problems associated with this action.